You hear over and over that you need to be unique. To come at things with a fresh angle. To discover your winning difference. It’s all true. And it’s not just the “art of marketing” that dictates these things. It’s the science behind what fascinates us. You can try chasing trends by being a “me too” marketer. The legendary players, however, come not from chasing what’s happening, but by running in a different direction. Author and entrepreneur Sally Hogshead has committed her career to helping people discover their winning difference. And a content-driven approach to communicating that difference is amazingly powerful – because it makes you fascinating to follow — to the right crowd, that is. This new installment of New Rainmaker takes you on a journey with Sally as she outlines what it takes to develop a fascinating and unique position in your market. The answer might surprise you. Robert Bruce: Back in 1976, the music industry was in a full-tilt disco craze. All the smart money was chasing new disco acts based on the success of tunes like The Hustle, and Jive Talkin’ by the Bee Gees. Rock was dead, they all said, and this before Saturday Night Fever brought disco to middle America. But then a band out of Boston (named for the city itself) turned that wisdom on its head. Boston founder Tom Scholz struggled to get a record deal. And even after he signed with Epic, he got nothing but hassle from the label as he fought to release the band’s eponymous debut. Eventually, Scholz prevailed and Boston was released, and it was a massive success. It remains one of the best-selling debut albums in U.S. history, with over 17 million copies sold. Then in 1991, 15 years after Boston, history repeated itself. A band from Seattle did something that wasn’t supposed to work. If you owned Nirvana’s first album Bleach, and someone told you this act would become the biggest band in the word and dominate the radio waves with their next work, you’d have laughed. A band like Nirvana was not supposed to be on the radio, much less become incredibly popular. One irony as we talk about differences – Boston’s More Than a Feeling and Nirvana’s Smells Like Teen Spirit are musically very similar songs. The difference Nirvana made, however, was in the contrast they posed to the hair bands of the day, as well as making punk rock accessible. Another bandwagon ensued. Soon we had Clear Channel “alternative” rock stations (whatever that means). Rock music was fundamentally changed. Until, of course, Britney Spears and the boy bands became the next “different” thing. Sally Hogshead: Anytime you communicate, you are creating content. That content is either adding value or it’s taking up space. When we went inside companies and we began studying what the difference was in the communication patterns of the high performers, we found that there was a specific thing that they did differently. The high performers within organizations and small businesses know exactly how they add value and they have a specialty. In other words, they’re not trying to be all things to all people. They don’t water down their communication. They’re very clear that they specialize in one specific form of communication. They’re not trying to be great at everything. They’re trying to be extraordinary in one particular way. Robert Bruce: And what’s the benefit of this focus on adding unique value? Does it really make a difference to be different in a really useful way? Sally Hogshead: People are more loyal to them. People refer them and they stay with them. They buzz about them in social media. As a result, they can charge up to 400% more for their products and services. Robert Bruce: The common advice at this point is usually that you’ve got to become stronger, faster and better than the competition, but could things work out better if you didn’t focus on those macho notions at all? Sally Hogshead: If you focus on your strengths and you’re trying to outdo somebody else, then you’re going to stay on the hamster wheel. There’s a different way. Instead of focusing on your strengths, focus on your differences. If you focus on your differences, it becomes much easier for you to carve out a place in the market. It becomes much easier for you to stop trying to outdo other people and to be put in a competitive position. Over the last decade as I’ve been studying the science of fascination and what types of messages are most fascinating, what I found is that when your listener is in a state of fascination, they’re more likely to buy from you. They’re more likely to like you, trust you, believe you, and follow you. They’re more likely to post about you in social media. They return to you for more because you’re adding intense value through this focus. Robert Bruce: Hogshead is the creator of The Fascination Advantage® Assessment: the world’s first personality assessment that measures what makes a person most engaging to others. Unlike other personality gauges, this test is not about how you see the world – but how the world sees you. Sally Hogshead: There’s a specific way that the world sees you at your best. When you can identify exactly how people see you at your best, in other words, what type of communication do you naturally use, then your communication becomes much more fascinating. You become much more likely to earn people’s intense interest. Anytime you’re creating any type of content, whether it’s email or even a conversation, if you understand how the world sees you at your best, you can focus on those areas where you are most likely and most efficiently going to add value. Robert Bruce: When you take a media approach to online marketing, you uniquely position yourself to get somewhere. In many cases, the content you create is the very thing that sets you apart in your industry – and sets you up to accelerate business in surprising ways. 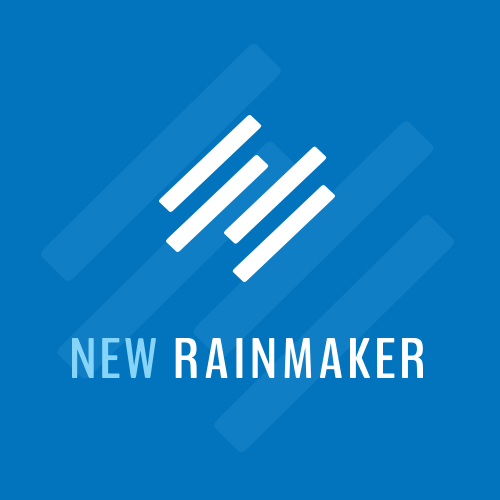 New Rainmaker is brought to you by the Rainmaker Platform … the complete online marketing and sales website solution that gives you the ability to attract and fascinate the people you want to help. Take Rainmaker for a free test drive, and get more power and less hassle from your online marketing efforts. Visit rainmakerplatform.com to get started today. 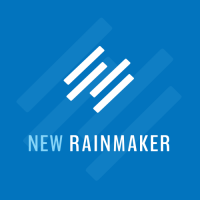 The New Rainmaker broadcast is written by Brian Clark and narrated by me, Robert Bruce. A special thanks to Sally Hogshead for lending her expertise to this episode. You can find even more from her at sallyhogshead.com.